I have heard a lot of words used to describe PTSD: “tragic”, “heartbreaking”, “scary”, “pitiful”. The more I heard them, the more I believed those words. The more I used them about myself. I can’t tell you how many times I have said, “I ‘suffer’ from PTSD.” But the more I thought about it, the less I feel like I am suffering. The less those words remotely speak for me. However, I feel it is necessary to add that I certainly can not and will not speak for everyone who has PTSD. I can only speak for me. Mirriam Webster defines suffering as, “pain that is caused by injury, illness, loss, etc. : physical, mental, or emotional pain, sufferings : feelings of pain.” Something about that definition doesn’t sit well with me. Maybe it’s the way people apply the word suffering to someone with PTSD. The media makes me feel like because I have PTSD, I should be sitting in a corner drooling on myself. Or that anyone with PTSD is a danger to society. I am also keenly aware that when PTSD is at its worst, it feels like you are being eaten alive from the inside out. Although that certainly fits the definition of suffering, the reason I don’t like to say that I am suffering is because my PTSD is more emotionally based and I have learned that, although they are painful, my emotions won’t kill me. Only my actions would. This is a personal decision I have made: to avoid using the term suffering. There may be thousands of other veterans that feel differently than I do. Shouldn’t that be the point? That we all have our own stories? Our own way we choose to describe who we are? A couple of weeks ago I drove the kids to school. I travelled on the same road that I drive each day and passed the same houses and many of the same people doing their morning routine. But last Friday I noticed something. A box that had been upright and open on the side of the road all week was different. It had been rotated, and the lid was closed. My brain immediately told me that someone had placed an empty box there and conditioned everyone to get used to seeing it as they travel their usual route. It’s a typical technique used by people who emplace explosives on the side of the roads. And it is crazy making. Stop the car and both lanes of traffic and walk around to see if there are any wires or people hiding in the bushes. Swerve to the other lane, but then I ran the risk of swerving from a decoy explosive (the box) and getting blown up by the real explosive on the other side of the road. (The one that certainly had to be there—somewhere). Try to snap out of it and realize I am not in Iraq. Or Afghanistan. It all happened so quickly. 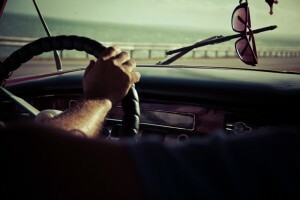 So I chose to breathe deeply, grip the steering wheel and continue driving. Nothing happened as I passed the box. But the PTSD inside me was triggered. I felt it building. I could taste an acrid bitterness in the back of my mouth. I felt the constant tingling in the back of my head and the tense feelings in my continuously balled fists. I felt hate in the bottom of my throat. I hated lots of things – boxes, people, cell phones, cars. But I still wasn’t suffering. I was living through a trigger and looking for a way to process the rage. The week following the “box” incident consisted of 3 hours of sleep each night, nightmares, anger towards anyone around me, and sudden urges to break things. All of those things eventually subsided. And I know I will start the cycle over again at some point. There are times when I don’t feel like I belong in certain places and days when I am scared to be in public. But there are also times when I am perfectly content with everything in my life. I see my PTSD as more of a unique problem that I have to deal with, but it’s not actually killing me so I won’t say that I am suffering. The dictionary definition definitely applies to me, but my main point is that I don’t like for anyone but me to tell me how I feel. 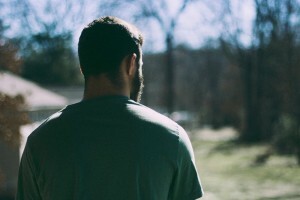 Rather than applying a cookie cutter formula to any veteran with PTSD (PTSD=suffering), perhaps a simple solution would be to ask each individual how he feels about his unique story. His triggers. Then, give him the space to be honest about that. Courage Beyond provides confidential, no-cost programs and services to warriors and their loved ones facing post-traumatic stress disorder (PTSD) and other invisible wounds of military service. 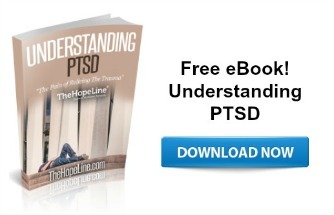 Visit Courage Beyond for help with PTSD and download your free eBook. Today on the way to night classes a box dropped put of a Penske truck in front of me (idiot had the door open – thank God I don’t tailgate)…I haven’t run over anything in the road since I was in the middle east, and still catch myself being suspicious about every box in or near a road. Anyway, the box was right where my wheel had to go – no room between it and the concrete barrier, and no place to swerve right (traffic was fast and dense)…so I ran over the damned thing. I’d seen the papers coming out of it when it fell, but there was something solid in it, as well, and I crunched over it. In the rearview I saw papers flying everywhere. Kept going…but I noticed I couldn’t hear the music anymore, and I kept changing lanes like I needed to get off the freeway…and I was frantically find to find a bottle of whiskey (no, I didn’t have one in the car). I felt the shakes and the tears. Found this article when I got to school and it struck true. It’s anger and a desire for outlet. I’m not scared. I’m pissed off. Thanks for listening. I pretty much never post online, but right now I just needed to vent. Interesting..I suffer with complex post which I am happy to say here to you as I know u know what I am talking about by the term ptsd. Usually however, I don’t! If I am talking to some one else or wishing can tell someone why I am having such a hard time at any one point, it feels really uncomfortable to think of saying ptsd. Perhaps because it labels me as ‘disordered’ whereas my symptoms are completely natural for what I’ve been through.its like ptsd is this ‘thing’ that’s happened to me and I’ve been subjected to, which it kind of is, but I want to be ‘me’ to other people.